It's been a bit since the last subscription box made an appearance around these parts, but recently I had the opportunity to try an Indulge Me Box. Indulge Me Box is a Canadian subscription service (based out of Montreal) that offers a selection of skin care, makeup, accessories and surprise gifts from local and artisan brands. Want a closer look at what I got in the January New Year 2015 box? Read on! 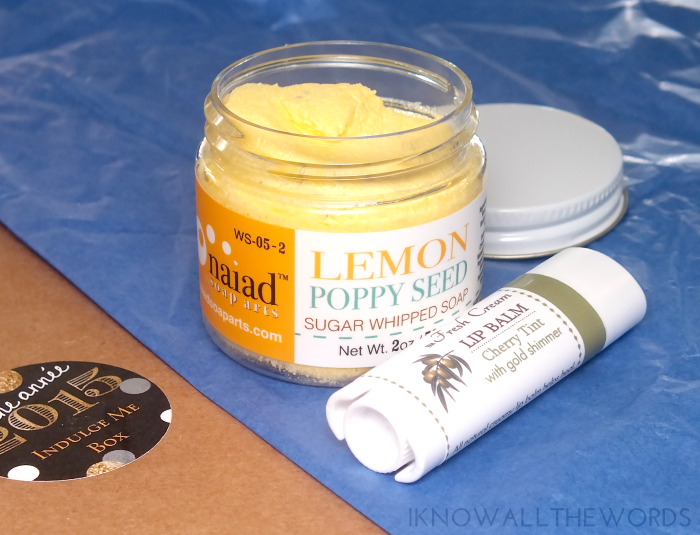 The first product to catch my eye was this cute little pot of Naiad Soap Arts Lemon Poppy Seed Sugar Whipped Soap! I love a little scrub action, but this is even better as it's a combo of whipped soap and sugar scrub. The texture is perfectly scrubby, yet gentle on skin and smells incredible- almost like fruit loops, but with more lemon. Naiad offers these up in a ton of other scents- like Peach Jubilee, Pineapple Mint, Chocolate Coconut, Vanilla Fig... and more- which I am very excited to get my hands on soon. They're also available in a larger, full size version should you find a scent you really love. For lips, there's Fresh Cream Tinted Lip Balm. 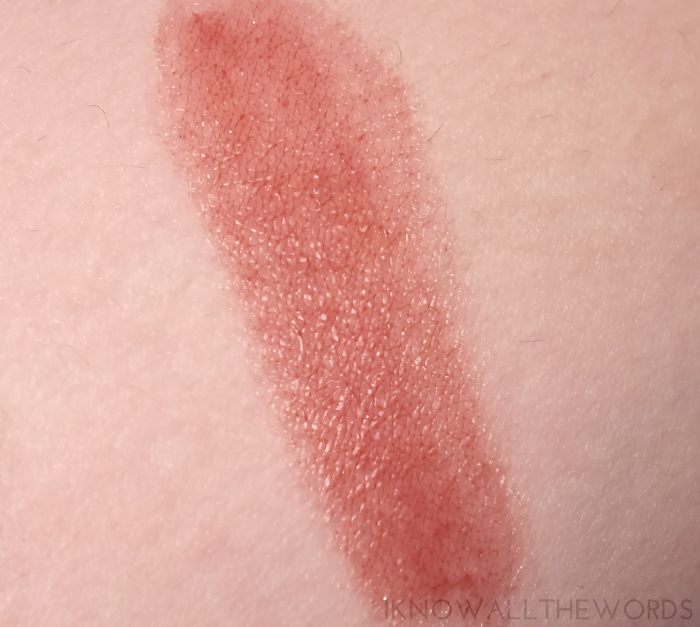 I received the Cherry Tint with gold shimmer, but I really can't detect any shimmer. Even sans shimmer, this is an incredible balm. It gives lips a sheer, plummy tint while being moisturizing thanks to the olive oil, cocoa butter, and coconut oil it's formulated with. I wasn't able to find the brand website, but it is available directly from Indulge Me. I love tea and will try just about any variety, so I was pretty excited to see Pretty Tea Lady in Blue Tea. Lady in Blue is an interesting take on Earl Gray that combines typical Bergamot with lavender and blue mellow blossoms. I haven't tried it yet, but it smells quite nice. 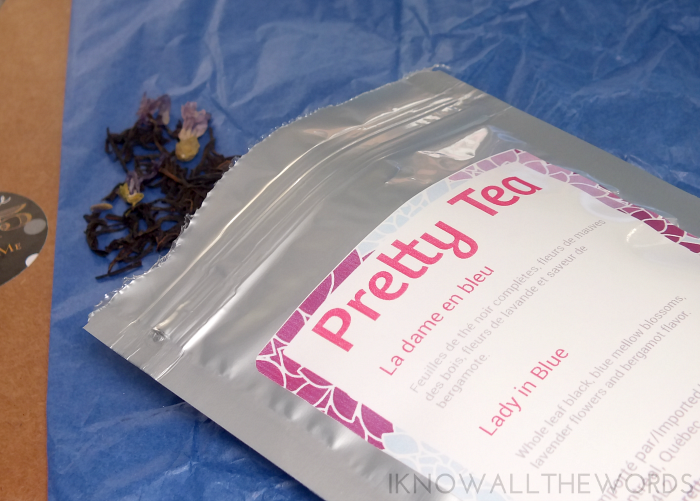 Pretty Tea also happens to be Canadian (based in Montreal) and offers a wide range of teas in various sizes. I love that you can order smaller pouches for just $3, which are perfect for testing out new teas. 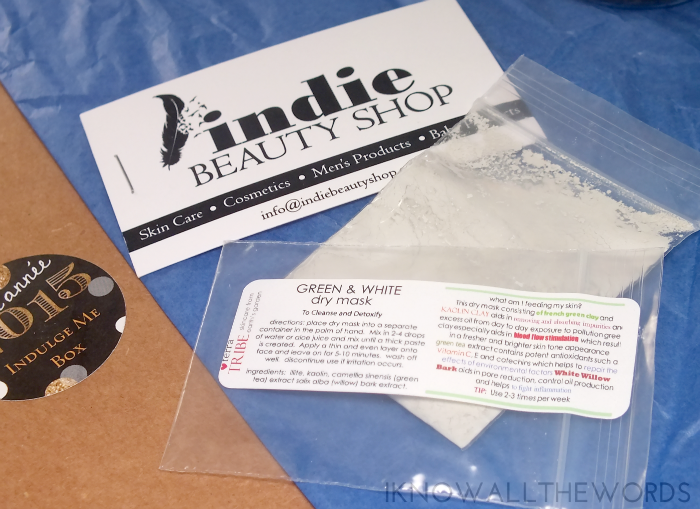 Last in the beauty/skincare department is a sample of Terra Tribe Green & White Dry Mask from Indie Beauty Shop. I love dry masks as they allow some customization- you can add oils or various types of water to them- and because they last a little longer in their powder state. This blend is formulated with French green clay, Kaolin clay, green tea and white willow bark, which all combined work to cleanse and detox skin. I haven't tried this yet, but I'm quite excited to give it a go. Last but not least, a little accessorize-ation. 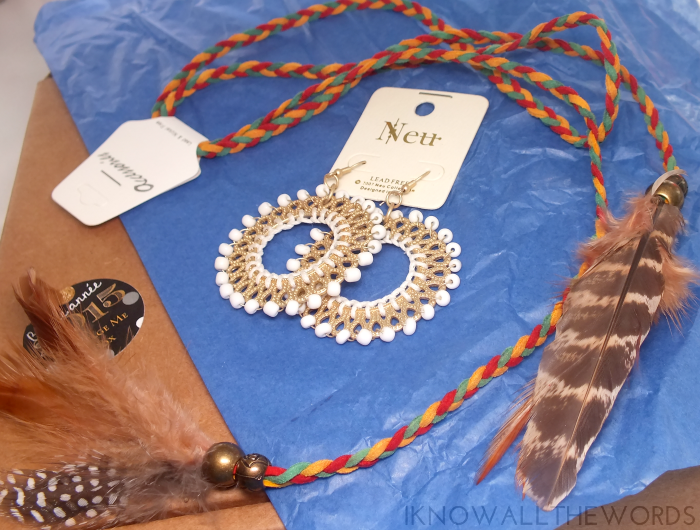 I'll admit that neither of the two items included are my style (at all) but I'm sure the right person would love the Karma Boutique Hoop Earrings and Braid String with Feather. The later is a bit confusing to me, as I'm not exactly sure how to use it in hair or as jewelry, but my cat loves it. She's a feather nut, so this has become a very popular cat toy in my house. Not the intended purpose, but she has a blast chasing it around. Overall, this is a nice selection of products. I think the accessories were too specific to a certain style (styles in this case) which weren't mine in the slightest, so more style-neutral selections would be nice to see in future boxes especially at this price point. Speaking of price, Indulge Me Box will set you back $20 + $5 shipping and tax within Canada or $20 + $6 shipping if you're in the US. Interested in subscribing? Use the code IKNOWALL10 for 10% off. What do you think of this selection? Do you subscribe to any boxes?